Thank you so much for coming in last month for PTC meetings. It is always so nice to meet with you all and discuss student progress. We completed a lengthy unit on Fairy and Folk Tales. We read the following stories: Goldilocks and the Three Bears, The Three Little Pigs, Jack and the Beanstalk, Little Red Riding Hood, and The Little Red Hen. We read classic versions of these stories and new versions as well. It was interesting to compare the different versions. The students played with may manipulatives, and dress up items to retell the well known stories. They also enjoyed making puppets to bring home. We did several hands on projects related to the stories. We tried to grow magic green beans just like Jack did. Please let us know if your child planted his or her bean plant and let us know if it produces beans. Everyone enjoyed making mini pizzas, just like The Little Red Hen Who Made a Pizza. Lastly, we voted on our favorite stories if all of the books that we read. Currently, we are doing a unit about science, and are learning about topics such as magnets, rocks, and force and motion. This Friday, your child may bring in a special rock from home to share with the class. Your child should be able to pick up his/her own rock independently. After the school vacation, we will be learning about communities and community helpers. We are sending home snowpants at this point. We are hoping that the we don’t have any more storms at this point. If it snows again, please send your child with snowpants again. In the classroom, we made snowflake crystals using an easy recipe. This is the link to recipe if you want to try it out at home. 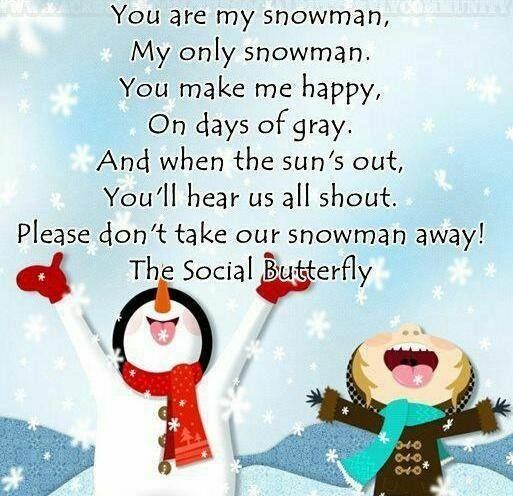 We had been singing several songs at circle time about winter as well. excited! Thank you also to families who sent in items for the class party. We appreciate it! This is the afternoon class playing on the playground. The Three Little Pigs, Little Red Riding Hood, and The Little Red Hen. multi-sensory. First, students write the number or letter in the air and engage their large arm muscles. 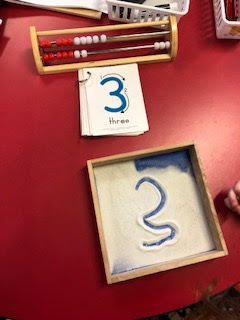 students learn to write numbers and letters. Writing uses a visual motor skills and fine motor skills. This is a photo from some of our steps for writing numbers. use play doh, and help with cooking. Here is a link to a website with more information. sign-up sheet for times next week. on the playground and listened for birds chirping. much of it right now! letters from the top down, no letters start from the bottom up. could do at home too. Next, we will be doing work around shapes. and each class will make a donation the Humane Society. Valentine’s Cards. We will post a snack list for families to make a donation to later this month. Thank you so much for being flexible and sending your child in for the day of the WRS Thanksgiving Feast. All of the PreK students had a wonderful time and had good manners. We also have some very good eaters in PreK! We have finished our unit about gingerbread. We did several art and craft projects. We read The Gingerbread Baby and The Gingerbread Friends by Jan Brett, The Gingerbread House by Scholastic, The Gingerbread Mouse by Katy Bratun, and The Gingerbread Man by Jim Aylesworth. We compared how the stories were alike and different and also voted on our favorite. We retold the story with character dolls and made our own gingerbread man. He was so naughty that he ran away from us! Our PreK classes also decorated 2 gingerbread houses that were donated to the Family Place for their annual Gingerbread Fundraiser. Currently, we are working on a unit about the five senses. We will be reading books on the topic, such as: The Five Senses by Nuria Roca, My Five Senses by Margaret Miller, My Five Senses by Alliki, and Me and My Senses by Joan Sweeney. In adddition, we will be doing some hands on science experiments and writing our our own mini books. Next week, we will have a special activity on Thursday, December 20th. PreK will be having pajama day! Students may wear their pajamas to school if they would like. We will have a special snack of popcorn and hot chocolate. We will still go outside for recess so please make sure to send in snow clothes to go over pajamas. Winter weather is here! 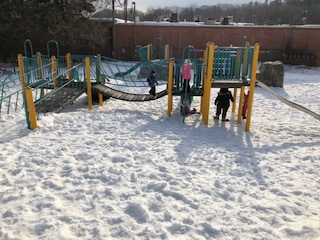 We go outside each day for recess unless it is raining or below 10 degrees F, or a windchill below 10 degrees F. Your child needs snow gear to play outside. Please send in snowpants, boots, a jacket, hat and mittens. Mittens are much easier for preschoolers to put on independently. Please label your child’s snow gear. We have snow gear that children can borrow if they forget their items at home, but most children prefer to wear their own. You may leave a pair of indoor shoes at school in your child’s cubby, so that there is one less thing to pack. Also, please check your child’s change of clothes to make sure that it is weather appropriate. If there is bad weather, school may be delayed or cancelled. If there is a delay in school, there will be no AM PreK. The superintendent’s office will send out an automatic call early in the morning. Delays and cancellations are also posted on WCAX. If your child will need a utensil for their snack, please send one in their snack bag. REMINDER: The Thanksgiving feast is on Tuesday and there is a time change so that all PreK students may eat lunch together. Picture retake day has been rescheduled to November 30th. meet with all of you. We really enjoy having your children in the PreK classroom. create a mini cloud. The links to the experiments can be found here. nature. We also did a class science project on why leaves change color. them in for a taste test at snack. about the letters in your child’s name. just bring in your form if your child missed picture day. You may also register and pay on-line. eat the Thanksgiving lunch. Also, our PreK class is responsible for donating applesauce to the feast. Please send in a jar of applesauce with your child. Thanks you for your help! For more information about registering for Pre-K at WRS, please call the school secretary, Mrs. Taber at 802-295-8650. Registration materials are generally available in mid-March. The WRS Pre-K Program is a Four-star Program. "Four-start programs are established programs that have met several standards of quality in all five areas. Many four-star program are also nationally accredited" (DCF, VT).